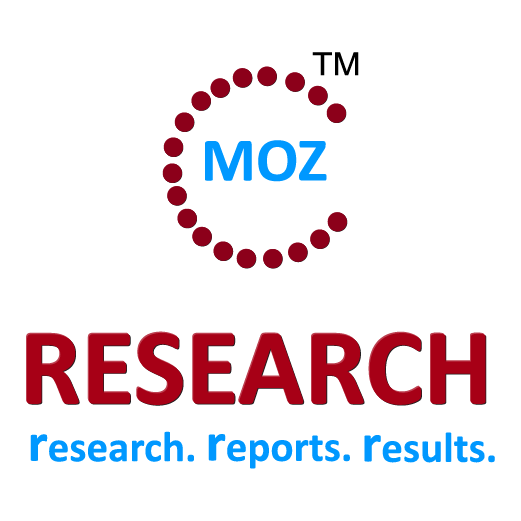 Global Dialysis Market Report: 2015 Edition Market Size and Share Published in 2015-03-09 Available for US$ 800 at Researchmoz.us Dialysis is the artificial process of eliminating waste and unwanted water from the blood. It is carried out by using a special fluid called dialysate, a mixture of pure water and chemicals, is carefully controlled to pull wastes out of your blood without removing substances your body needs. There are two types of dialysis: hemodialysis and peritoneal dialysis. Hemodialysis removes wastes and water by circulating blood outside the body through an external filter, called a dialyzer and in peritoneal dialysis, wastes and water are removed from the blood inside the body using the peritoneum as a natural semipermeable membrane. Reinsurance in Israel, Key Trends and Opportunities to 2018 Market Size and Share Published in 2015-03-05 Available for US$ 1950 at Researchmoz.us The absence of a domestic reinsurer in Israel, and with no licensing requirement for foreign reinsurers to accept business from Israeli insurers, has led to a proliferation of overseas reinsurers. The reinsurance premium ceded by the life segment increased from ILS976.5 million (US$248.3 million) in 2009 to ILS1.3 billion (US$360.6 million) in 2013, at a review-period (2009–2013) compound annual growth rate (CAGR) of 7.5%, while the reinsurance ceded by the non-life segment fell from ILS5.3 billion (US$1.33 billion) to ILS4.6 billion (US$1.27 billion). The reinsurance premium ceded by the personal accident and health segment rose from ILS904.6 million (US$230.0 million) in 2009 to ILS949.0 million (US$262.2 million) in 2013. Life Insurance in Israel, Key Trends and Opportunities to 2018 Market Size and Share Published in 2015-03-05 Available for US$ 1950 at Researchmoz.us The life insurance segment was the largest segment of the Israeli insurance industry in 2013, having accounted for a 50.2% share of the industry’s gross written premium. The segment is highly concentrated, with the five leading life insurers accounting for 91.4% of the segment’s gross written premium in 2013. Global Diesel Generator Set Industry Report is a professional and in-depth research report on the world's major regional market conditions of the Diesel Generator Set industry, focusing on the main regions (North America, Europe and Asia) and the main countries (United States, Germany, Japan and China). Global Sifting Machine Industry 2014 Market Research Report Market Size and Share Published in 2015-01-30 Available for US$ 2850 at Researchmoz.us Global Sifting Machine Industry Report is a professional and in-depth research report on the world's major regional market conditions of the Sifting Machine industry, focusing on the main regions (North America, Europe and Asia) and the main countries (United States, Germany, Japan and China). ensors are playing an increasingly important role in printed electronics. While the biggest market is currently glucose sensors (for the treatment of diabetes), it is also highly commoditized. However, a new generation of printed sensors is now emerging from R&D and the range of applications is vast. There are many types of sensors and therefore many addressable markets. IDTechEx forecasts the market for fully printed sensors will be over $8 billion by 2025. The report specifically addresses the big picture - including OLED displays and lighting, to thin film photovoltaics to flexible sensors and much more. Importantly, it includes not only electronics which are printed, organic and/or flexible now, but it also covers those that will be. Realistic timescales, case studies, existing products and the emergence of new products are given, as are impediments and opportunities for the years to come. 3D printing has received much attention in the press over recent years. Hyped as the technology to bring about a 3rd industrial revolution, 3D printing technologies were in fact invented in the early 80s. They remained a niche technology until the expiration of a key patent in 2009 allowed many startups to emerge offering cheap consumer-level 3D printers. A media frenzy in 2012 thrust 3D printing into the limelight and major players are reporting dramatic growth in everything from consumer to high-end metal printers.